Regular fit is wider at the body, with a straight silhouette. Ribbed baseball collar. Long sleeves with ribbed cuffs. Piqué lining. 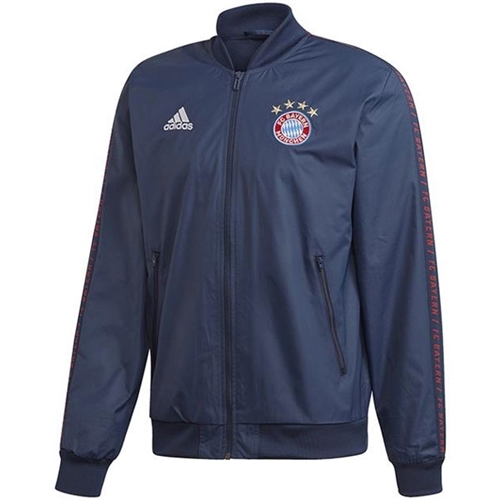 Our adidas Bayern Munich Anthem Jacket lets you take the field like Bayern Munich in this anthem jacket from adidas. 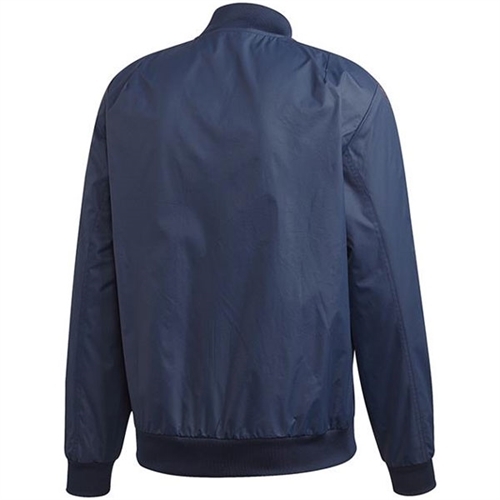 Lightweight, full-zip jacket with hood, zippered pockets.